Twenty-three percent of adults 24 and older who live in Baldwin County do not have GED's or high school diplomas. 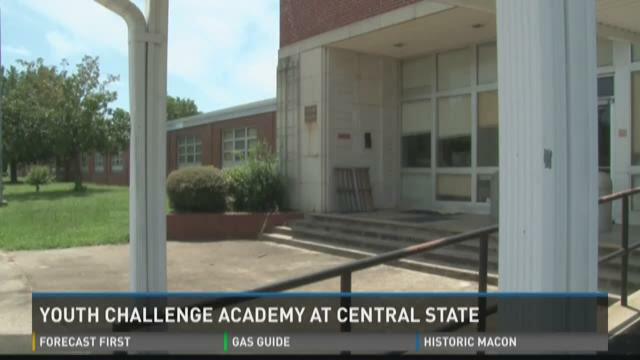 Central Georgia Technical College opened its GED testing center in Milledgeville Thursday, in hopes of reducing that. After dropping out of school in the 10th grade and working jobs that got her nowhere, Heather Glisson says it was time to better her future. Voters in Milledgeville and Baldwin County will say yes or no to consolidating their governments in November. The unification charter is up for vote in November's general election. Representative Rusty Kidd is for consolidation and says uniting would lower taxes and create jobs. Milledgeville's state representative says he's offering $3,000 of his own money for information leading to arrests in the city's string of drive-by shootings. "It's terrible," Rusty Kidd said. "People need to come forward with information to get these people off the streets." That brings the reward total to $5,000, including $1,000 from Macon Regional Crimestoppers and $1,000 from the Baldwin County Sheriff's Office. Milledgeville and Baldwin County are investigating 15 shootings in the past month and a half. Investigators say they believe the shootings are connected and gang-related. Kidd says he's putting up an additional $3,000 toward the reward that leads to arrests on Milledgeville drive by shootings. It's his personal money. Kidd, a longtime Atlanta lobbyist, has represented the district since 2010. Milledgeville police are investigating their 15th drive-by shooting in a month and a half. This one happened just before midnight Sunday night at a home at 1030 W. Charlton St.
One Baldwin County teenager is literally turning a page for her community. 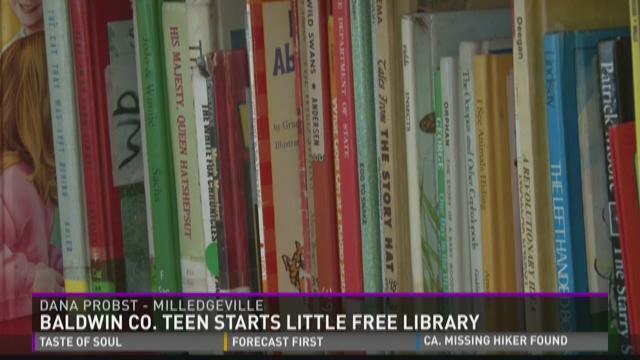 16-year-old Dana Probst created a Little Free Library at the Chard Wray Food Pantry in Milledgeville. It's not every day you meet a 16-year-old that wants to give back to their community. "We built it to improve literacy rates in Baldwin County, and it's for people who don't have access to books," said Probst. Next Thursday, Georgia College & State University will host an event to discuss recent complaints of racial discrimination at some downtown Milledgeville businesses. The news release from Georgia College says the American Democracy Project has organized an event with a panel of professors, experts, and community members. This spring, several students told 13WMAZ's Paula Rotondo that they'd witnessed, or been a victim of racial discrimination at the Capital City Bar. The club's owners have not responded to our requests to discuss the complaints. Central State Hospital's campus in Milledgeville dates back to the 1800s. And with more than 2,000 , there are plenty of buildings that are being revitalized. Claire Davis spoke with one man who is working to bring the campus back to life and create new jobs.